Well-designed content is the core ingredient of competitive digital experiences. And the accelerating pace of technology allows us to dramatically improve content creation, content management, content delivery, and ultimately the customer experience. But this is far from easy, and depending on your goals can require pulling together many components, including web content management / web experience management, new development frameworks, analytics, tag management, social media, and advertising tools, as well as ecommerce, CRM, and other system integrations. The Gilbane Digital Content Conference brings together content strategists and managers, marketers, technologists, IT and business executives, as well as external service providers to learn and share how to put the pieces of the puzzle together. 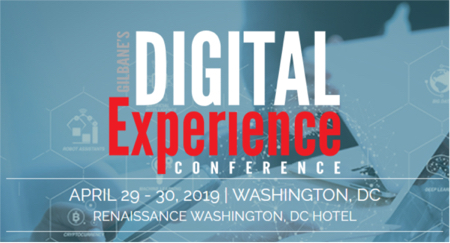 The Gilbane Digital Content Conference helps marketers, IT, and business managers integrate content strategies and computing technologies to produce superior customer experiences for all stakeholders. Please review the conference and track topics below and submit your speaking proposal. Additionally, answers to the most common questions about speaking at the Gilbane Digital Content Conference can be found in the Speaker Guidelines. What function / system owns customer profiles?